(Nanowerk News) To get a clear picture of what’s happening inside a cell, scientists need to know the locations of thousands of proteins and other molecules. MIT chemists have now developed a technique that can tag all of the proteins in a particular region of a cell, allowing them to more accurately map those proteins. Ting’s new method, developed with researchers from the Broad Institute and Harvard Medical School, combines the strengths of two existing techniques — microscopic imaging and mass spectrometry — to tag proteins in a specific cell location and generate a comprehensive list of all the proteins in that area. 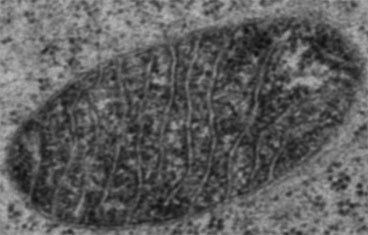 In a paper appearing in the Jan. 31 online edition of Science ("Proteomic Mapping of Mitochondria in Living Cells via Spatially Restricted Enzymatic Tagging"), Ting and colleagues used the new technique to identify nearly 500 proteins located in the mitochondrial matrix — the innermost compartment of the cellular organelle where energy is generated. Lead authors of the Science paper are former MIT postdoc Hyun-Woo Rhee and Peng Zou, who received a PhD from MIT in 2012. With mass spectrometry, which uses ionization to detect the mass and chemical structure of a compound, scientists can analyze a cell’s entire complement of proteins in a single experiment. However, the process requires dissolving the cell membrane to release a cell’s contents, which jumbles all of the proteins together. By purifying the mixture and extracting specific organelles, it is then possible to figure out which proteins were in those organelles, but the process is messy and often unreliable. The new MIT approach tags proteins within living cells before mass spectrometry is done, allowing spatial information to be captured before the cell is broken apart. This information is then reconstructed during analysis by noting which proteins carry the location tag. The new system makes use of a chemical tag that includes biotin, one of the B vitamins. To label proteins with biotin, the researchers first designed a new enzyme they dubbed APEX. This enzyme is a peroxidase, meaning that it removes an electron and a proton from its substrate in a reaction known as oxidation. Every peroxidase has different substrates, and one of APEX’s substrates is biotin-phenol. When the researchers add biotin-phenol to a cell engineered to express APEX, the enzyme creates biotin-phenoxyl radicals — highly reactive molecules with unpaired electrons. These radicals quickly grab on to nearby proteins, tagging them with biotin. To make sure the biotin is only labeling proteins in a specific part of the cell, the researchers engineer APEX so it is attached to a protein or peptide that they know is located in the area of interest. Once in the right spot, the APEX enzyme labels any other protein within a short distance of its original target. After the proteins are labeled, the process is very routine, Ting says. Cells are dissolved, biotin-tagged proteins are extracted, and the proteins are identified by mass spectrometry. The new method is an “elegant and powerful approach” to defining the protein populations of cellular organelles, says Xiaowei Zhuang, a professor of chemistry and chemical biology at Harvard University. “If we take the analogy that an organelle is like a machine, what the method can offer us is the complete parts list of the machine, and where the parts are. Such knowledge goes a long way in helping us understand how the machine works. It is truly an important and potentially transformative technology development,” says Zhuang, who was not part of the research team. To demonstrate the technique’s power, the researchers created a comprehensive list of the proteins found in the mitochondrial matrix. Most of a cell’s energy generation takes place in mitochondria, as well as many biosynthetic processes. Using the new method, the team identified nearly 500 proteins in the mitochondrial matrix. Previous attempts to map the matrix proteome by extracting that cellular compartment and then performing mass spectrometry yielded a list of only 37 proteins. “There was no previous high-quality map of the matrix subdomain of mitochondria, and now we have one,” Ting says, adding that this new wealth of information should help biologists to learn more about the functions of many of those proteins. Already, the team has found that an enzyme called PPOX — involved in synthesizing heme, the iron-porphyrin complex found in hemoglobin — is not located where biologists had thought it was. As heme precursors move through the biosynthetic pathway, they are shuttled to different parts of the cell. Finding that PPOX is in the matrix means that there must be unknown transporter proteins bringing heme precursors into the matrix, Ting says. The researchers are now investigating proteins found in another compartment of the mitochondria, the intermembrane space. They are also modifying the chemistry of the labeling system so they can use it for other tasks, such as mapping the topology of membrane proteins and detecting specific protein-protein interactions.